Get started today using your benefits as an airline employee! From MY DASHBOARD, select PROFILE, then select TRANSPORTER. 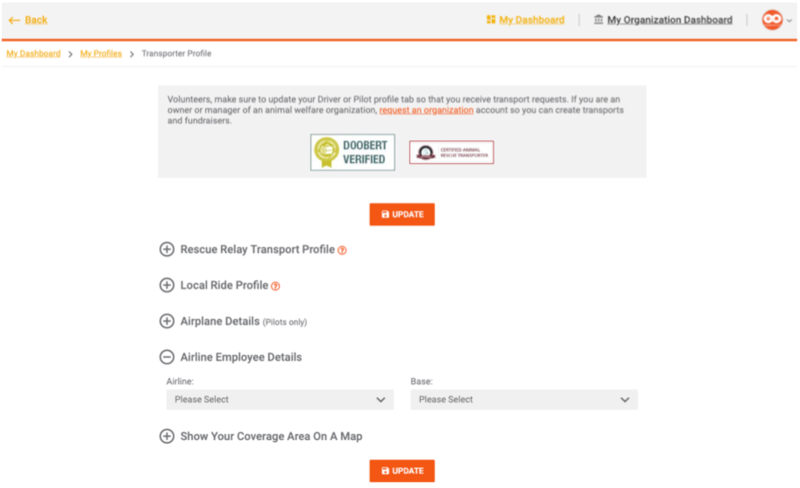 Expand the AIRLINE EMPLOYEE DETAILS and select your airline and your home base airport then don’t forget to update. 3. That’s it! Now, when an airline transport is entered into the system you’ll be notified.